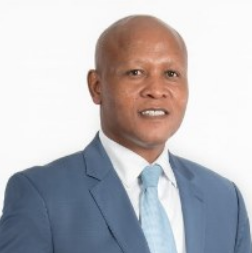 Abram Masango, the suspended Eskom executive for group capital, was testifying before a parliamentary inquiry into allegations of state capture at Eskom. A suspended Eskom executive on Wednesday told MPs how he was targeted, intimidated and threatened after compiling a “whistleblower’s report” containing concerns about corruption at the state-owned power utility. Masango said he submitted a report on maladministration and corruption at the power utility to former Eskom chairman Ben Ngubane, who was implicated in former Public Protector Thuli Madonsela’s report detailing how the politically connected Gupta family influenced decisions at Eskom which made them billions of rands. The report was submitted in February last year. Masango said he did not expect what followed next in that the report was tabled in a board meeting the following month, even though it was shared on a confidential basis. Masango also testified that former Eskom executive for generation Matshela Koko called him to a meeting in March, 2015 at Melrose Arch, Johannesburg where he was introduced to Salim Essa, a known lieutenant of the Gupta family. He became “uncomfortable” when Koko made him hand over his cellphone. During the meeting, Masango said, Koko informed him that four executives were to be suspended the following day. They included then acting chief executive CEO Tshediso Matona, finance director Tsholofelo Molefe, group capital executive Dan Marokane and Koko himself. “Thereafter Mr Koko made a comment that the three executives would not be returning to their employ at Eskom after being suspended, however he confidently remarked that he would be returning to the same position,” Masango said. Koko returned to his post. However, the other three were let go and given golden handshakes. It is widely believed they were moved out of the utility to make way for those who would do the Guptas’s bidding. Masango said at the time he met Essa, he did not know who he was, but has since “connected the dots”. He believed Koko was a “runner” and was “probably receiving some instructions which he has to execute”. Masango detailed how he believed he had been followed several times and how pictures had been taken of him. He said he still had measures in place to protect his family. Masango was suspended in November last year and maintains the reasons given for his suspension – “undeclared conflict of interest and generally corrupt conduct” – was vague and he was yet to receive any clarity on the charges against him.